The newest crop of Penguins draftees have arrived (for the most part). Development camp has taken place. The future stars are beginning to show their shine but also give a glimpse as to who holds the most potential. Young guns that will (hopefully) rise to greatness within this storied organization. This draft brought back memories when, not so long ago, another group of young, versatile, and eager young hockey players were welcomed into the organization. These young men are now Stanley Cup Champions. Talk about a childhood dream coming true and not in to slow a fashion either. No one could have or would have predicted just how important the Penguins rookies would become this season. While some have landed themselves a full one-way contract, others are waiting in the wings just a phone call away. Now well into the offseason (however short it may be), here is a final "grading" of our "Baby Penguins". To say he had a season dreams (and movies) are made of would be a vast understatement. 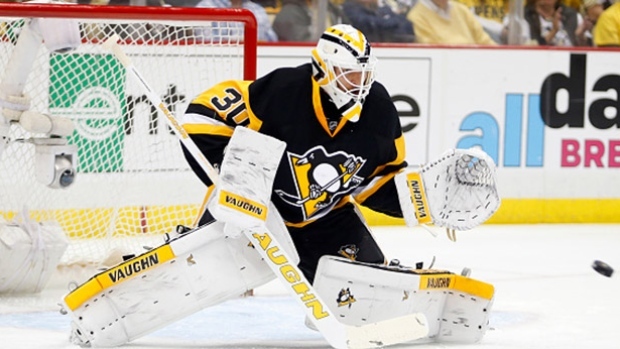 When called up from Wilkes Barre, Matt Murray was only known as "that goalie kid on a hot streak". Now, at only 22 years old, he is known as a Stanley Cup Champion and Matthew "Muzz" or "Mattie-Ice" Murray has become a household name. He not only shocked the Penguins organization but the league in general. His bounce back ability after a bad game is remarkable and he has now tied various rookie records in the playoffs. Give this kid a full season as back up to get a full sense of the real grind and fine tune his "weaknesses" and he will be good to go as the number one goalie come 2017 (if not sooner depending how camp goes). Cons: Allows soft goals, glove hand, has not seen a full NHL season (yet). The most experienced of the call-ups (having played in a few games in the NHL already), Rust was brought in with Conor Sheary, Tom Kuhlnackl and Scott Wilson when the injury bug bit hard mid-season. Questions began to arise, however, when he hit a bit of a slow patch and his brethren began to fire on all cylinders. This grinder out of Notre Dame decided he was not going to fade away or be replaced. He battled, bumped, chirped and scored enough to earn his way onto the second line with Evgeni Malkin just in time for the playoffs. He also played well enough during the regular season to make an impression on his team mates and was awarded the teams Rookie of the Year honor. He also earned himself a one-way contract making him a Baby Penguin no more. Down the final stretch of the season and into the playoffs (Feb-June) Rust would score 8 goals/ 10 assists, have two 2-goal games in the playoffs (including the game winner against the Tampa Bay Lightening) and scored in the Finals against San Jose (with a broken hand). 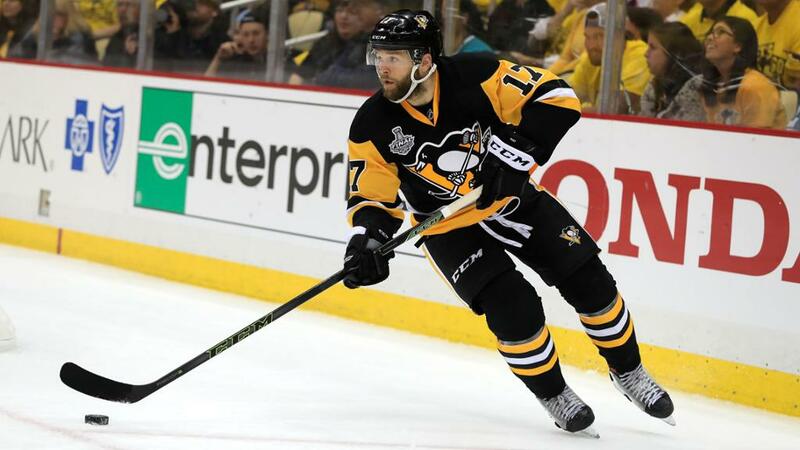 It goes without saying that Bryan Rust is expected to bring even greater things to a full NHL season come October. Cons: Accuracy, can be too fast for his own good, mouthy (will not back down in a chirp-fest). 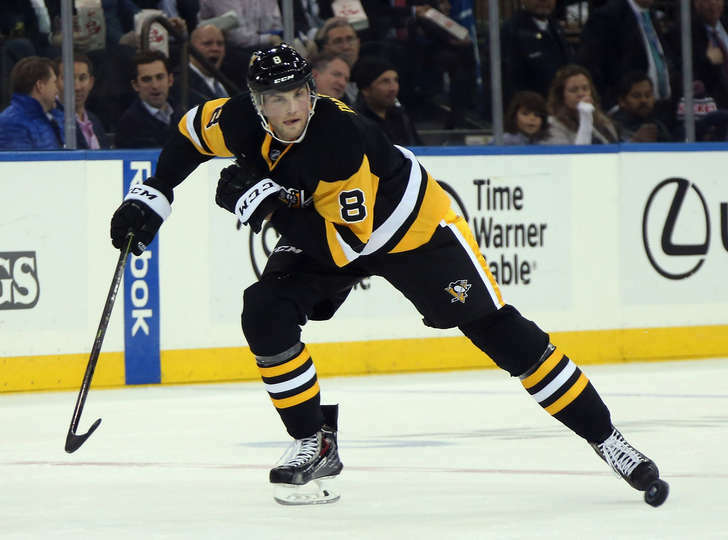 Besides Kris Letang, there is no more fan-loved defensemen than Brian Dumoulin. He began his career in Wilkes Barre but quickly came up the ranks to join the big leagues. How much faith did/ do the penguins have in him? They let two more experienced defensemen go and kept the kid instead. Under-rated does not even begin to describe him and his playing ability. It didn't matter who he was paired with, Brian Dumoulin just knows how to bring out the best in anyone, even the most struggling partner. He helped relight the fire in both veteran defensemen Ian Cole and (now former Penguin) Ben Lovejoy. In fact, Dumoulin and Lovejoy became known as "the shut-down pair". Overall, Brian Dumoulin is the best defensive defensemen the Penguins have. He is terrific on the penalty kill and finally got himself two more goals during the Stanley Cup final. He not only plays tough, he is (personally) tough. He took more shots to the head or head slams into the glass/ boards than anyone on the team towards the end of the season and in the playoffs yet rarely missed a game because of it. He is a literal tank on skates. He has and will continue to develop into the Penguins next elite defensemen. Oh the little fireball. The undrafted, little engine that could, indeed, play in the NHL despite barely standing 5-feet, 8-inches tall. 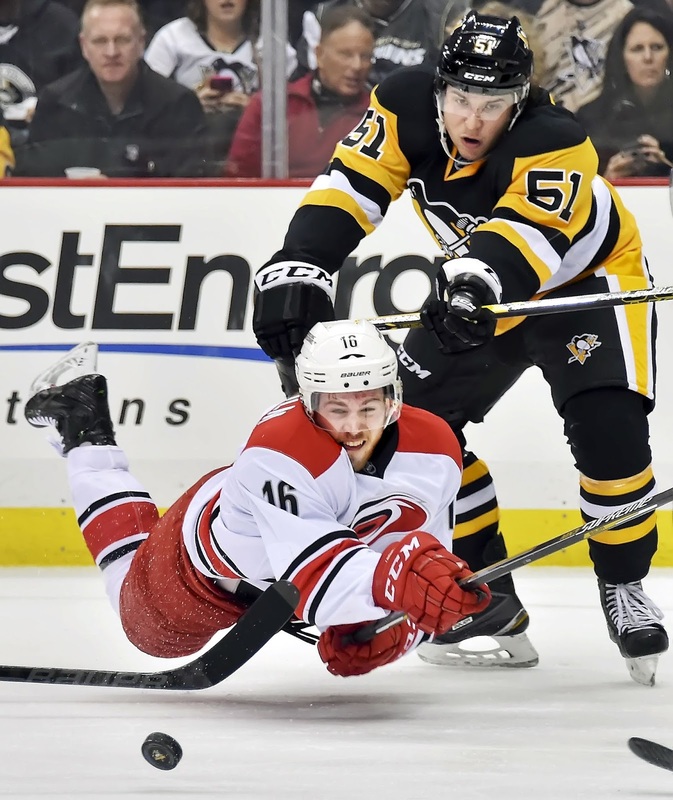 Conor Sheary was another shock the NHL did not see coming. Since being called up from Wilkes Barre, he has scored 10 goals, tallied 16 assists and had the game winner in Game 2 against the Sharks. He has found undeniable chemistry with Sidney Crosby on the top line and can move the puck quickly and accurately. Dynamite comes in small amounts too, but still makes a big BOOM. That is what Conor Sheary will continue to do with the mentorship of El Capitan'. It's amazing what a little time playing with the "Bad Boys of the Wheel" (the Wheeling Nailers) can do to change a players style. That time spent in the ECHL made all the difference for Tom Kuhnackl. He is now one of the Penguins best defensive forwards and the least afraid to block a shot (well, except for maybe Hornqvist but he isn't a rookie). Kuhnackl has developed into a strong, heavy fore-checking, two-way hockey player. He is a staple on the penalty kill and has a knack for shorthanded goals. In fact, he made history this season. When Kuhnackl scored the game winning goal in Game 1 versus the New York Rangers, he became the only other active NHL player to score both his first regular season goal and first playoff goal while being shorthanded (Fedor Tyutin being the second per Elias Sports Bureau). Finishing the season with 7 total goals and 13 assists (not to mention countless blocked shots), Tom Kuhnackl is a driving force on the fourth line and will be giving defensemen fits for years to come. The new Penguins identity focuses around speed. 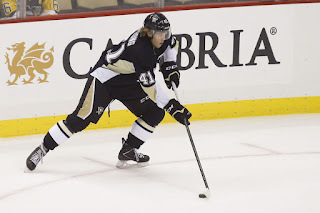 Daniel Sprong, the hot new kid out of the Netherlands, is what really gave fans an idea of where the team wanted to go with their style of play. Unfortunately, that style never got off the ground with former head coach Mike Johnston. By the time Mike Sullivan took over the reigns, the decision to send Sprong back down to Juniors had been made. Although hindered by a coaching/ play style not suited for this Penguins team, Spring had a great start to the season. He scored his first NHL goal soon after the start of the 2015-2016 regular season against Ottowa on October 15, 2015. That goal also made for one of the best goal celebrations ever by a Penguin (in my humble opinion anyhow). Both the goal and a replay of the celebration are below. He quickly regained dominance in the QMJHL (Quebeck Major Junior Hockey League) when he was sent back down, and all eyes are on his return to the AHL, and soon, the NHL. Fans are anxious to see what he can do now that a true team identity has been set in place. 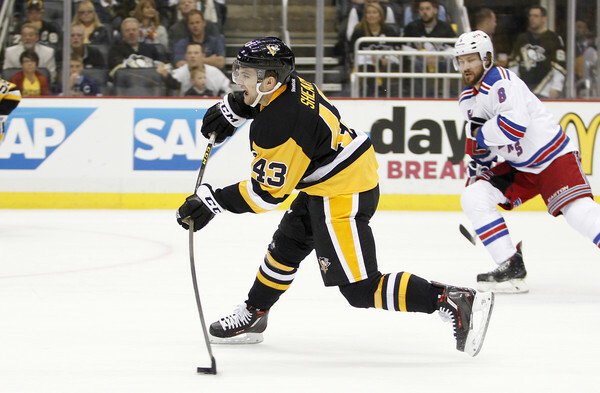 Other AHL rookie call-ups that aided in the Penguins Stanley Cup victory include Oskar Sundqvist and Derrick Pouliot. Oskar Sundqvist (Center) was a surprise glimpse into what the Penguins organization still have "in reserve" back in Wilkes-Barre. He was called in to fill a slot on the fourth line when needed and stepped up to the role well. Should Matt Cullen not resign with the Penguins, I look to Sundqvist to be brought in to take over full time. If not, he will continue to fine tune his game another year with the Baby Penguins. 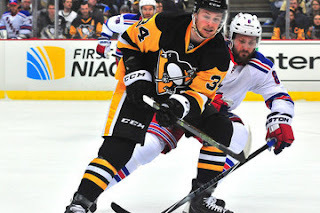 Sundqvist did earn his first NHL goal while on a stint here in Pittsburgh what came on a short-handed shot against the New York Islanders. He read and capitalized on a (huge) mistake by the Islanders net-minder and what a beauty of a goal it was. Take a look for yourself and understand why fans are foaming at the mouth for his inclusion on the top level team. 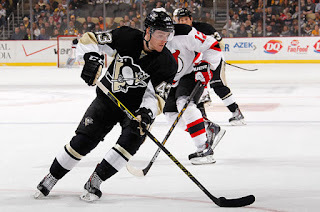 Derrick Pouliot (Defense)....oh Derrick Pouliot. Drafted and touted as the next star defensemen and possessing all the potential in the world, he just cannot seem to find his niche. Although playing well in the NHL, his abilities have not been carried over when called up. Finding chemistry with a anyone has not been an issue though that may be due to his lack of consistent ice time. He is only 22- years old so he does have a little bit of time to "grow up" but the question is this: will he remain a member of the Penguins if he doesn't step up during camp/ during the early season? His poor decision making and timing lead to multiple turnovers when on ice but he has an incredible shot when he gets an opportunity to let one fly. I want to see him live up to his potential, fans want to see him live up to his potential, but CAN he rise to the occasion? The decision, and his career, lies only with him. Rookies come and go. Some never make even a splash. This group made a tidal wave. They answered the call when their team need it most and it paid dividends come early June. The draft picks soon after the Final added speed, girt, and depth to a team with renewed vision. 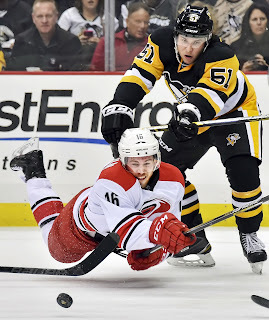 Add those to other names to watch such as Jake Guetzel, Dominic Simon and Jean-Sebastian Dea, and the Penguins continue to set themselves up for years of success and, hopefully, more victory parades.